Learn more about the time and place of Honor. The Mesan Alignment is revealed, and for Honor Harrington and the Manticoran Star Kingdom, this means war! Sometimes things don't work out exactly as planned. The Mesan Alignment has a plan - one it's been working on for centuries. A plan to remake the galaxy and genetically improve the human race - its way. Until recently things have gone pretty much as scheduled, but then the Alignment hit a minor bump in the road called the Star Empire of Manticore. So the Alignment engineered a war between the Solarian League, the biggest and most formidable interstellar power in human history. To help push things along, the Alignment launched a devastating sneak attack that destroyed the Royal Manticoran Navy's industrial infrastructure. And in order to undercut Manticore's galaxy-wide reputation as a star nation of its word, it launched Operation Janus - a false-flag covert operation to encourage rebellions it knows will fail by promising Manticoran support. The twin purposes are to harden Solarian determination to destroy the Star Empire once and for all and to devastate the Star Empire's reputation with the rest of the galaxy. But even the best laid plans can have unintended consequences, and one of those consequences in this case may just be a new dawn of freedom for oppressed star nations everywhere. 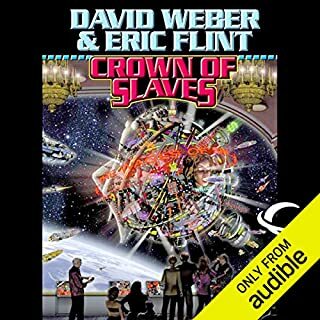 ©2016 Words of Weber, Inc. (P)2016 Audible, Inc.
Would you listen to Shadow of Victory again? Why? Who would you have cast as narrator instead of Kevin T. Collins? I don't review books much. I have enjoyed the series, but having another author come in and read instead of Jay Snyder or Allyson Johnson makes the book be a much poorer listen. I like to listen to a book while doing other things when I can't physically read the book myself. You get used to how one person pronounces names and words. Or Character voices. Kevin T. Collins was the wrong choice for this book. This books needs to be rerecorded. 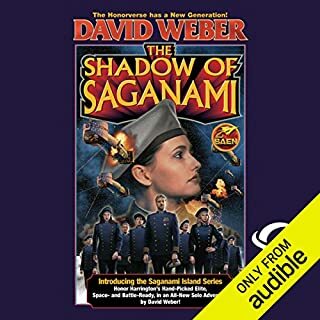 Sadly David weber has simply went back yet again in the story line and told the same story from a few different perspectives. he isn't actually advancing the story line at all. Huge disappointment. Years of waiting for the next volume and he gives his readers a rehash of previous story lines. PLEASE stop using Kevin T Collins. If you could sum up Shadow of Victory in three words, what would they be? Soo, The book is good. But ruined, like one of the SafeHold series with a really awful narrator. He is good at childrens books, and he should stay there. keep him away from scifi. Extremely tedious to listen to. You'll enjoy listening to an American pronounce Czech & middle eastern names ceaselessly with constant setting switches. What could David Weber have done to make this a more enjoyable book for you? I understand that Weber wanted to create multiple distinct settings to immerse the audience in, but the overly heavy-handed use of foreign words makes this extremely difficult to follow unless you're drawing a string-chart and constantly referencing it. At some point about 5 hours in, every time I heard a foreign word I'd stop listening and just wait until Weber discussed the atmosphere so that I could understand what was going on. Did Kevin T. Collins do a good job differentiating all the characters? How? This was a serious shock after binging the whole series all this year. I initially hated the previous narrator, but I ~eventually~ grew fond of her characters and come to expect their voices. This new narrator has a completely different idea on how the characters sound and how they portray themselves. Weber spends way too much time focusing on the names of organizations in foreign languages to the point that you will easily lose track of where you are, who is talking, and who they represent. I suggest you stop listening every time you hear an overly long foreign name and just assume it's either "The Rebels" or "The Empire" and be presently surprised when you picked the wrong side. Great book, not so hot narrator. The narrator sounds like he is hacking up hairballs when using some accents. His performance made it difficult to enjoy the book. 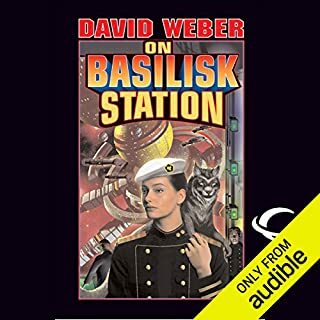 Audible, please bring back Alison Johnson to narrate Weber's books. I wouldn't bother with this one. One of Weber's failings is a tendency, every few volumes, to gather up cuttings from the floor that didn't make it into the last volume, and present the same story from a slightly different perspective. There are some nice nuggets there, but for myself, I really wish Weber would FINISH THIS COLLOSSUS before he dies. 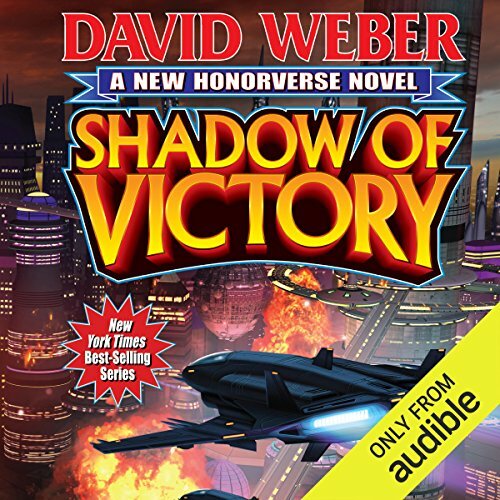 Has Shadow of Victory turned you off from other books in this genre? He could have studied up pronunciation for various words used by prior narrators. Was Shadow of Victory worth the listening time? Read only if every little detail is important to you. This volume seems composed almost entirely of stuff that was edited out of the original. It does not move the story FORWARD as much as an inch. 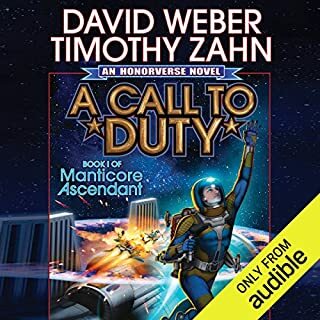 Would you try another book from David Weber and/or Kevin T. Collins? Weber: yes, but he's on probation. Collins: not unless I was desperate. 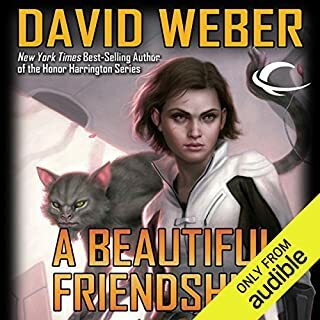 Would you ever listen to anything by David Weber again? Breathless and overdramatic. The same way he did trauma to Midst Toil and Tribulation in the Safehold series. Disappointment in the failure to advance the story. I don't put aside books often, but I gave up here. Nothing happens of interest. The first chapter is almost half made up words with very little relevant plot or any characters to care about. 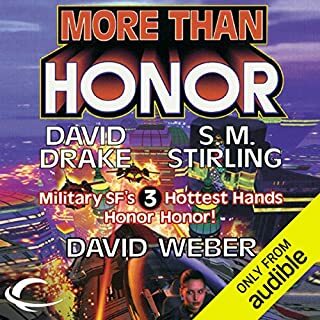 It seems the Honorverse side novels are just filler and noise. Weber should focus back on main characters and just summarize everything that happens in Talbot and The Verge as asides in the main story. This is the last book in this series I'll purchase. What disappointed you about Shadow of Victory? The book felt like it was pieced together with what ever was left on the cutting floor of the past 3 books. First time i felt disappointed by a David Weber Book. This book is composed, almost in its entirety, of the sweepings off the cutting room floor from the last three or four books in the series. The story weaves carefully around the major plot points of the series without ever quite making contact. If taken as a stand alone novel then the plot is both tedious and disjointed, without a focused narrative direction. The narration was poorly paced with frequent poor pronunciation. While I appreciate the effort Kevin Collins made to pronounce the foreign language words, the emphasis he placed upon the polish words was quite jarring and further slowed the reading pace. I ended up listening at 1.25 x speed, as this was the best compromise between improving the pace and the distortion caused by higher speeds. Overall the poor narration made a poor novel almost unreadable. I persevered to the end but wish I had not bothered. This book is very long and doesn't seem to hang together as a novel, just parallels times explored in the main series. when its audio but I didn't feel there was enough here. It takes a very long time to get going and is very difficult to keep who is who straight. It is easily the weakest HH book I've experienced, and that goes back 20years. However the last third was good but overall could do better. Makes me want the next book even more! wonderful! beautiful! why can't he write faster!? oh yes, quality go down...Dan you reality!